Here at Cedar Tree we specialise in premium travel insurance. We aim to provide some of the top travel insurance policies in the industry that provide the best cover of the highest standard to ensure your peace of mind whilst travelling. We considered all the benefits and extras that we would want to protect ourselves and our families whilst travelling and then formulated those ideas into three different top class policies for you to choose from. Our Silver, Gold and Platinum policies all fully protect you during your holiday, so the choice is yours, however our Platinum policy does provide you with a bigger monetary cushion in the event of an incident or problem. 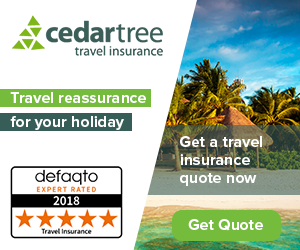 Please visit Cedar Tree here on this page for all premium travel insurance.